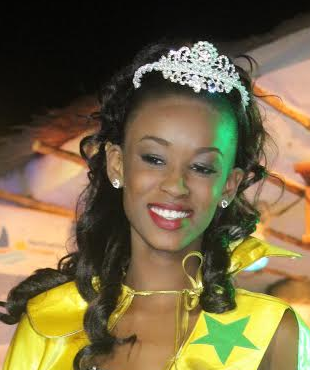 The new Miss Sénégal 2014 Anna Diouf of Thiès who was crowned March 29th at an outdoor event at the Lamantin Beach Hôtel in Saly. The first runner-up is Seynabou Thiam of Dakar (right) and the second runner-up is Aïda Gomez of Fatick (left). 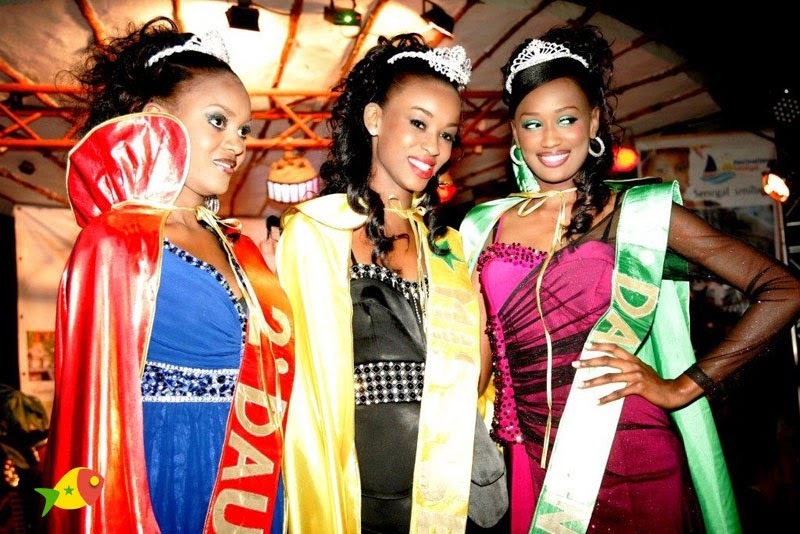 Diouf's victory was slightly marred by a rumor that some of the contestants had received sexual propositions from men. Diouf denounced the rumor which she said is unfounded. One of the contestants finally confessed that she started the rumor out of spite for not placing.